Several years ago I noticed that my feet would hurt whenever I'd play sports. After a while I decided to see a professional about them so I went to Utah Valley Foot and Ankle clinic and saw Dr.Clegg. Dr. Jared Clegg, DPM is the founder of the Utah Valley Foot and Ankle clinic. He specializes in foot and ankle care and surgery. He also has advanced training for high risk diabetic and geriatric foot care. 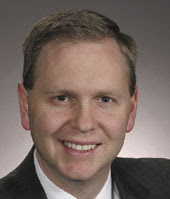 He is the president of the foot and ankle physicians of Utah Valley. Dr. Clegg offers a variety of services including care for ingrown toenails, foot pain, bunion, calluses, plantar warts, sprains and fractures. He is also an experienced foot surgeon, although he prefers to use more conservative treatments as opposed to surgery whenever possible. He has helped me on several occasions after having sprains and other injuries as a result of running a marathon. He also helped me get a pair of customized orthotics which made a big difference. Your feet do a lot of work and if yours currently aren't doing well, you should get in touch with his office. Dr. Clegg has been practicing in Utah Valley for 12 years now and has offices in both Provo and Payson. You can see his website at Utah Valley Foot & Ankle.